All positions operated through cable remote. Indication of Battery Back provided in the hand set. Centric base made from high quality stainless steel. Detachable head, leg and pelvic section. Base and cover made of attractive, easy to clean stainless steel. top for precise patient positioning. Handset is providing Dual Memory Function which can be set and reset. In terms of quality, reliability and functionality Operating Table is being acknowledged as the ideal solution for Gynecology and Obstetrics. Due to its modular design, can be flexibly adapted to your needs and configured to suit your exact surgical requirements. 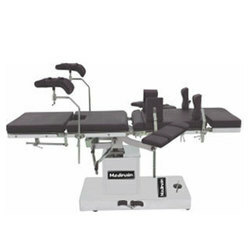 ME-700G-E is electric operation table for gynecology and obstetrics. With full affinity profile. Pink color is available for the mattress. It overcomes the slow speed of similar products. 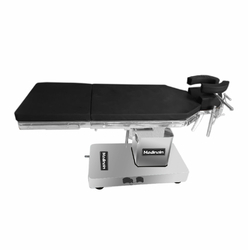 In terms of quality, reliability and functionality Operating Table is being acknowledged as the ideal solution for Gynecology and Obstetrics. Due to its modular design, can be flexibly adapted to your needs and configured to suit your exact surgical requirements. 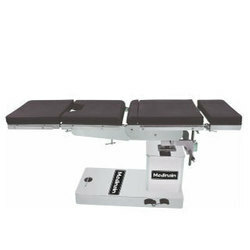 ME-700G-H is Hydraulic/Manual operation table for gynecology and obstetrics. With full affinity profile. Pink color is available for the mattress. It overcomes the slow speed of similar products. Five section table top with divided foot section. Table top is constructed from a high-pressure laminate to permit x-ray penetration and fluroscopy. All table positioning i.e. height, back section, lateral tilt, trendelenburg and anti-trendelenburg, operated by remote. The casings on the frame and centre supporting column should be made of hygenic. Table Top is made from radiolucent material. 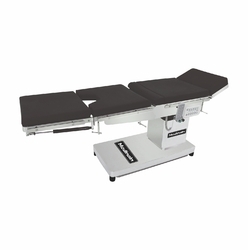 Opthalmic OT Table has a maximum height of 920 mm and minimum height of 690 mm. Ideal for standing table or sitting working position. 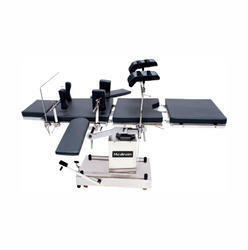 It is an ideal opetating table with the advantages of strong applicability, easy to operate. Adjusts conveniently and steady performance. Patient comfort is assured with deep antisatic cushions which are easy to clean. The adjustable cushioned head-rest ensures doctor comfort and resistant during operations.